From a shiny new station entrance and a church roof terrace to English folk rock and the booming notes of an organ, here’s our pick of the week’s best things to do. 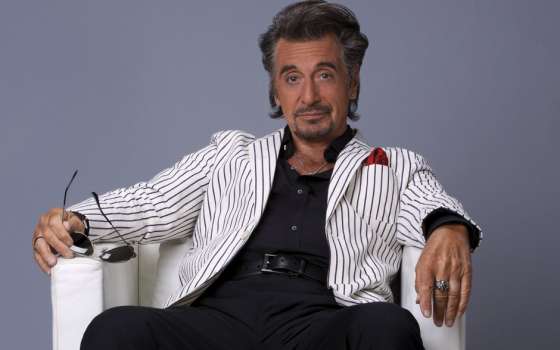 Danny Collins is a tale of an aging pop star attempting to recover his self-respect could well apply to its star, Al Pacino, whose output over the past few decades has been woeful. Fortunately, director and writer Dan Fogelman (Crazy, Stupid, Love and Last Vegas) has managed to row back Pacino’s recent tendency to overact and the result is a charming comedy with perhaps a touch too much sentimentality. The rest of the cast, which includes Annette Bening, Jennifer Garner and Bobby Cannavale, turn in solid performances, the stand-out being Christopher Plummer as Danny’s manager and best friend. The scenes between the two aging actors alone are worth the price of a ticket. This year’s summer fashion event is 10 Days Downtown: 10 events during 10 days at 10 locations. There will be fashion shows and exhibitions on various themes at various sites around Amsterdam. Among them are street fashion by young designers at the industrial area Roest, Liselore Frowijn’s collection inspired by the cut-outs of Matisse at the Stedelijk Museum and the documentary Dior and I about Raf Simons’ first collection for the famous fashion house at Eye. Amsterdam’s central station is currently undergoing a complete transformation to cater for the increasing number of travellers and to give access to the new north-south metro line due to open in 2017. The first part of this enormous project is now open: the rear entrance on the river side of the station. The result is a light and spacious hall with mirrored ceilings, marble benches and rows of hanging plants. Well worth a visit even if you’re not travelling. 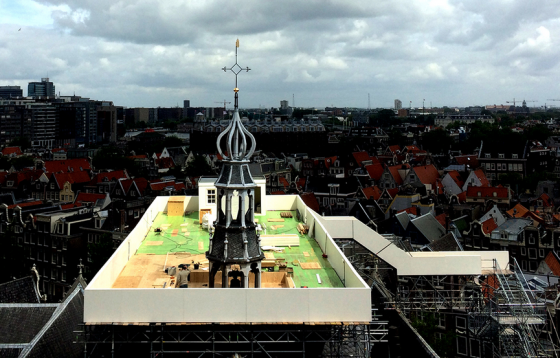 The celebrated Japanese artist Taturo Atzu has erected a steel staircase up to and a terrace around the top of the tower of the Old Church (Oudekerk) in Amsterdam. He calls his installation The Garden Which Is The Nearest To God. It provides an opportunity to scrutinise the church roof and to enjoy the spectacular view of the city. Mumford & Sons are performing numbers from their award-winning albums at the Goffertpark stadium at the weekend. Marcus Mumford, Ben Lovett, Winston Marshall and Ted Dwane formed the English folk rock band in 2007. Since then they have clocked up 14 Emmy nominations, winning Album of the Year in 2013. The international contemporary dance festival Julidans (July Dance) celebrates its 25th anniversary with Jan Fabre’s monumental 24-hour performance Mount Olympus with its 30 performers. It comes to Julidans directly after its premiere at the prestigious Berliner Festspiele. This is immersive theatre on an unprecedented scale. For 24 hours, the main auditorium of Amsterdam’s Stadsschouwburg becomes the mythical Mount Olympus. You will be allowed to to enter and leave the auditorium, walk around, eat and drink during the performance. 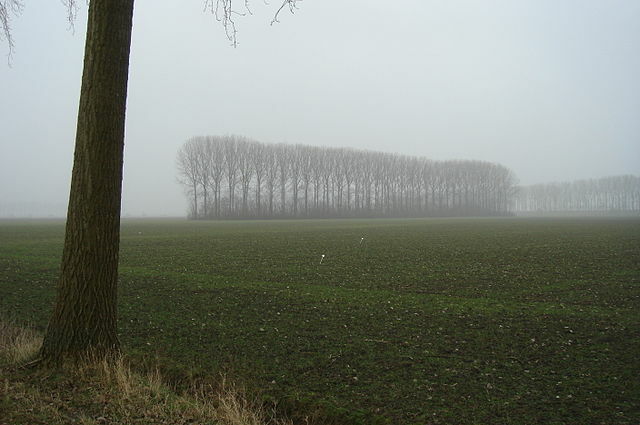 The 2015 edition of the Tour de France cycling race begins in Utrecht when the riders arrive in the city on July 2 and are presented in the Lepelburg park. On July 4 there are individual time trials. 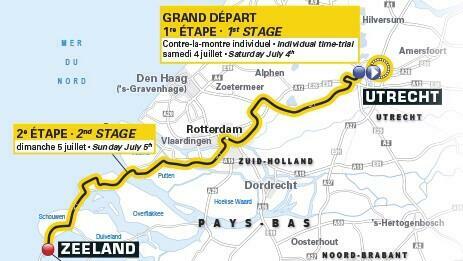 July 5 sees the seconded stage of the race from Utrecht to Neeltje Jans in Zeeland via Rotterdam. Full details of the route are on the website. Leo van Doeselaar plays Bach, Liszt, Bovet, Mussorgsky and Chopin on the Concertgebouw’s world famous Maarschalkerweerd organ. Visit a major retrospective on the work of Rudolf Steiner (1861-1925), one of the 20th century’s most significant and influential reformers. Steiner served as a source of inspiration for some artistic giants, including Piet Mondriaan, Wassily Kandinsky and Josef Beuys, and for contemporary artists and designers such as Olafur Eliasson and Konstantin Grcic. The exhibition presents an extensive collection of furniture, models and blackboard drawings. The Over Het IJ summer theatre festival in Amsterdam also takes in music and art. Its centre is the NDSM shipyard and it spreads from there along the banks of the IJ river and in to Amsterdam-Noord. This year the young theatre-makers and more famous names taking part concentrate on the city of the future. Head to the NDSM shipyard where guides will advise on which performances are suitable for non-Dutch speakers.